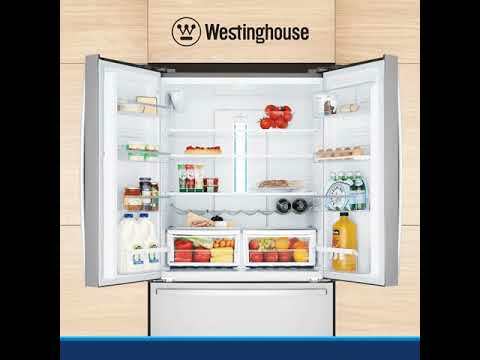 The 605L Stainless Steel French Door Refrigerator is the latest innovation from Westinghouse! This fridge is designed to fit neatly into an Australian 90cm cavity allowing maximum storage for fresh produce. The French door design also allows you to conserve kitchen space. This fridge is packed with features including a slimline in-door water and ice dispenser, a fingerprint resistant stainless- steel finish, FlexSpace interiors, Spillsafe glass shelving, self-close drawer & a quick chill function. Controlled temperature with the multi-flow air delivery system. Enjoy fresh, filtered water at the touch of a button with the built in dispenser. Spill safe glass shelves are easy to clean and contain drips and spills. FlexSpace is designed to offer flexibility and maximise storage. With such a wide range of refrigerator choices on the market, it isn’t difficult to find the right one. 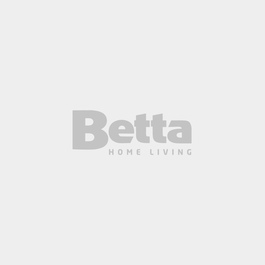 Some things to keep in mind are your niche dimensions, capacity requirements, fridge features, and how the fridge design will fit with your kitchen aesthetics. Westinghouse refrigerators are cool inside and out!